Want help? We’re on our way to you! Want the best car repairs, fast? Just contact us! Want good parts every time — We only use the best! Want work done on your car onsite? No problem! Want emergency help ASAP? Contact us immediately, we’ll get your job moving! Want some help with a car system? Not a problem — Book now, tell us when you want us onsite. Best workmanship, best practice code of conduct. Need work done on a time frame? Book a service job to match your schedule. There’s two big advantages for motorists in getting your car service or car repairs done locally — Time and money! Our local mobile mechanics can get to you fast! The quick service saves you money upfront and reduces the costs of being off the road. Service you can always trust — Lube Mobile! When you need help, expect us there fast, getting the job done. We make sure your service is done promptly every time. 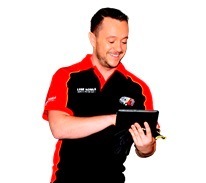 Looking for top car service or car repairs in Morayfield? 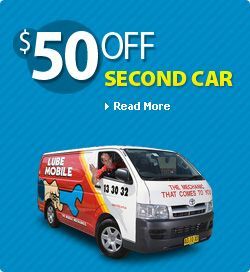 You’ve found Australia’s best, Lube Mobile! It’s no trouble getting great car service or car repairs in Morayfield! Lube Mobile will do any sort of car job you want done, when you want it done! It takes about three minutes to get booked online with Lube Mobile. Whatever type of car service or car repairs you need, book the service and we’ll organize the work! Book online anytime when you need work done on your car! There’s no need to wait to get service with Lube Mobile. You can simply book with us online. All that’s required is to do one quick online form! See you soon! Forget about any extras or added fees! We don’t charge extras or added fees. We tell you everything in our written quote! 12 month warranty Australia wide on all work and parts! Credit card? Great, we accept all the major cards and have other payment options as well! You authorise all work! No mystery jobs you didn’t know about!